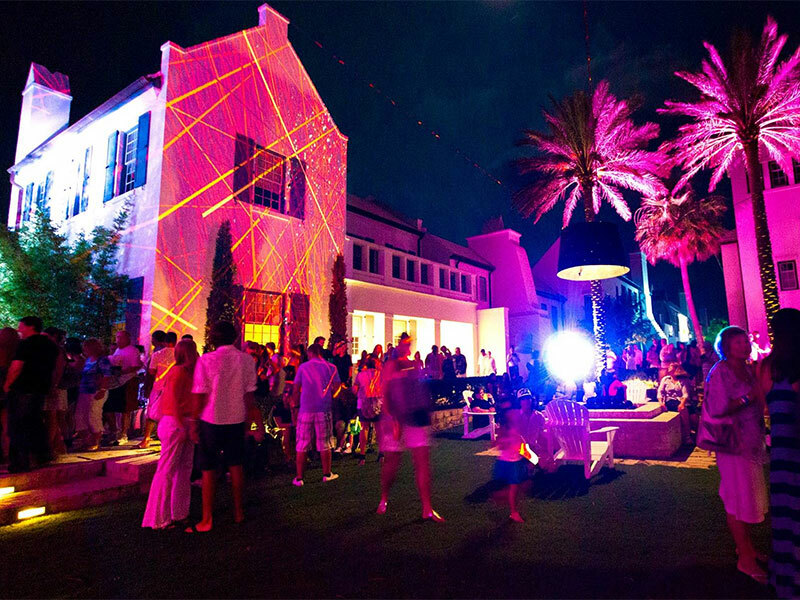 Alys Beach is an architecturally beautiful and sustainable community along the eastern end of Scenic 30A, and only a short drive from many of Dune Allen Realty’s vacation rentals. Here you can discover delicious dining options, from beach casual to simply elegant. For the lovers of contemporary art, make sure to attend the highlighted event of Aly’s Beach, the spectacular and world-renowned Digital Graffiti festival that takes place each May. Artists come from all over the world and, instead of using paint and canvas, project digital imagery to transform the pure white buildings of this Bermuda style town into moving amazing works of colorful art. This wonderful experience should definitely top your list when visiting South Walton in May.